Embrace the energy! Group fitness classes at our gym in Cambridge are dynamic and charged with enthusiasm. Browse our schedule of classes that range from the dance party of Zumba to the intense workouts of Body Chisel, HIIT, and boot camp. Invite your friends to join you in your favorite classes! Children from newborn to 11 years are invited to attend the Kids Zone at our Cambridge fitness center, a secure area that’s side aside just for them! 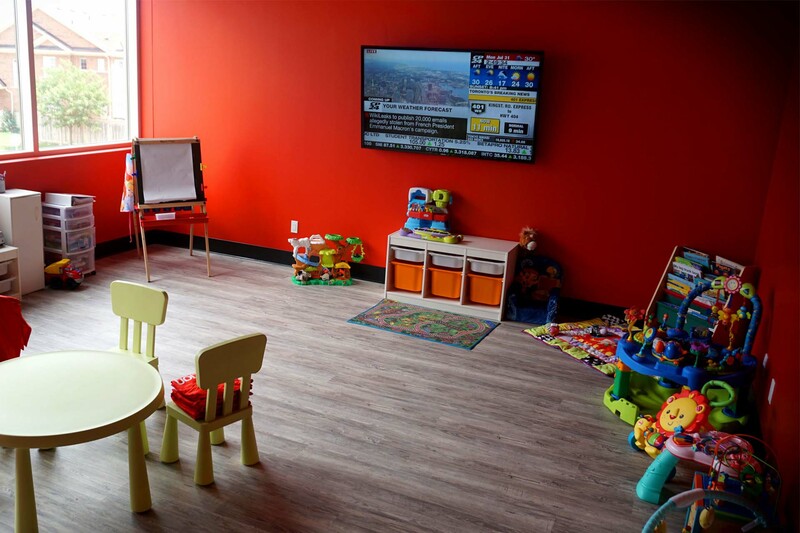 It’s supervised and stocked with toys, games, and age appropriate activities. Your kids will have fun and make new friends while you workout! 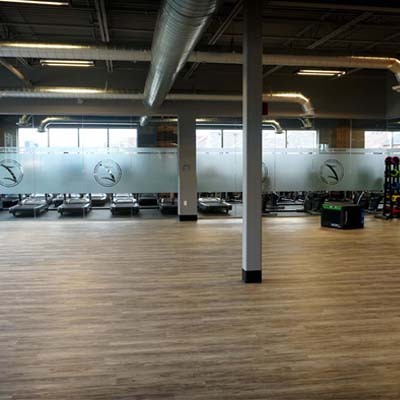 You’re just steps away from cardio fitness at our Cambridge gym! 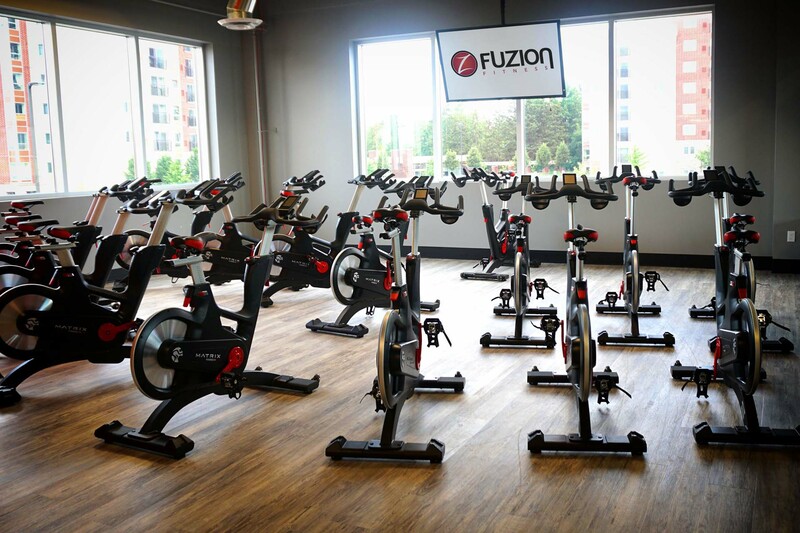 We have rows of single station cardio machines -- like treadmills, ellipticals, and bikes -- and plenty of aerobic group fitness classes for members to enjoy. Each cardio machine is equipped with a 19-inch monitor for your enjoyment, or use it to build your own cardio workout profile. 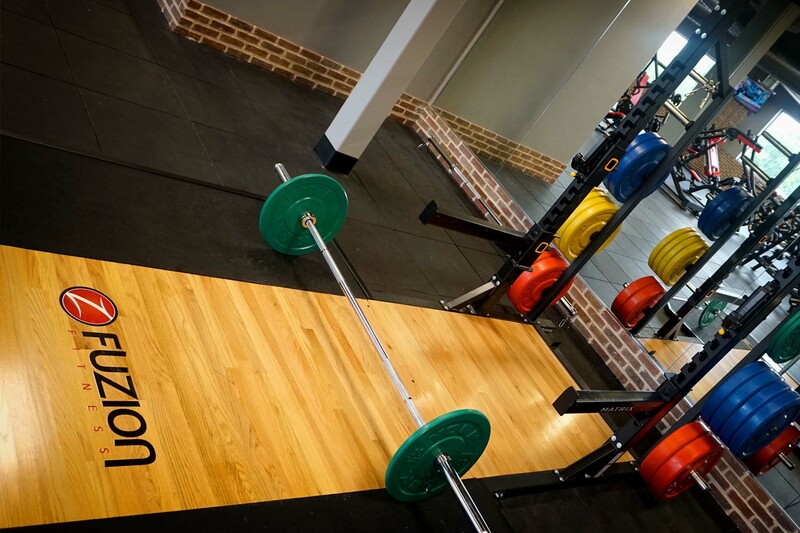 We take your fitness to heart! 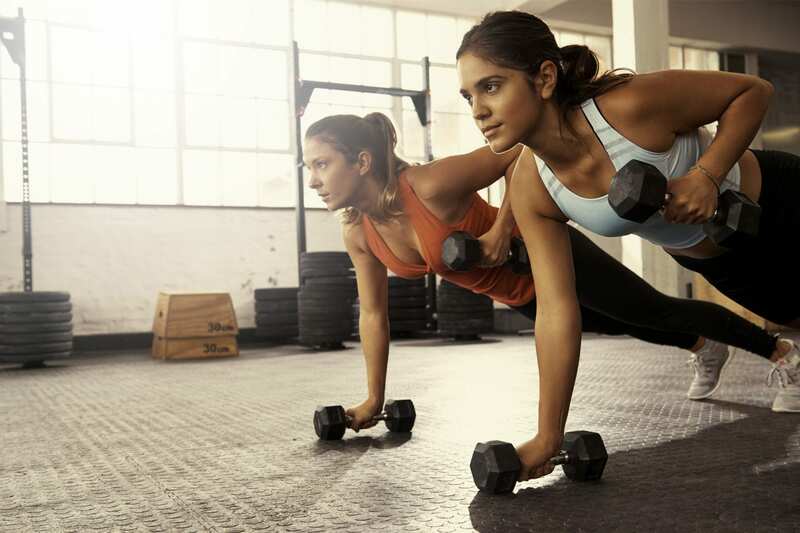 Strengthen, tone, and define your muscles with strength training at our Cambridge health club. With our great selection of plate loaded and selectorized machines, not to mention the dumbbells, you’ll tackle your fitness goals in no time! If you’re new to lifting, enlist a trainer to help you learn safe techniques. Feel the Fuzion difference and get lifting today!